Casa Lever is one of my favorite brunch places these days. Introduced to it by a dear friend, I’ve been there a few times now and love it. The Bloody Mary is my best one so far. It’s fresh and crisp, the right amount of horseradish, it has a nice kick to it with some spiciness and just one gives you the perfect early afternoon buzz. The Kir Royal is supposed to be good, too. 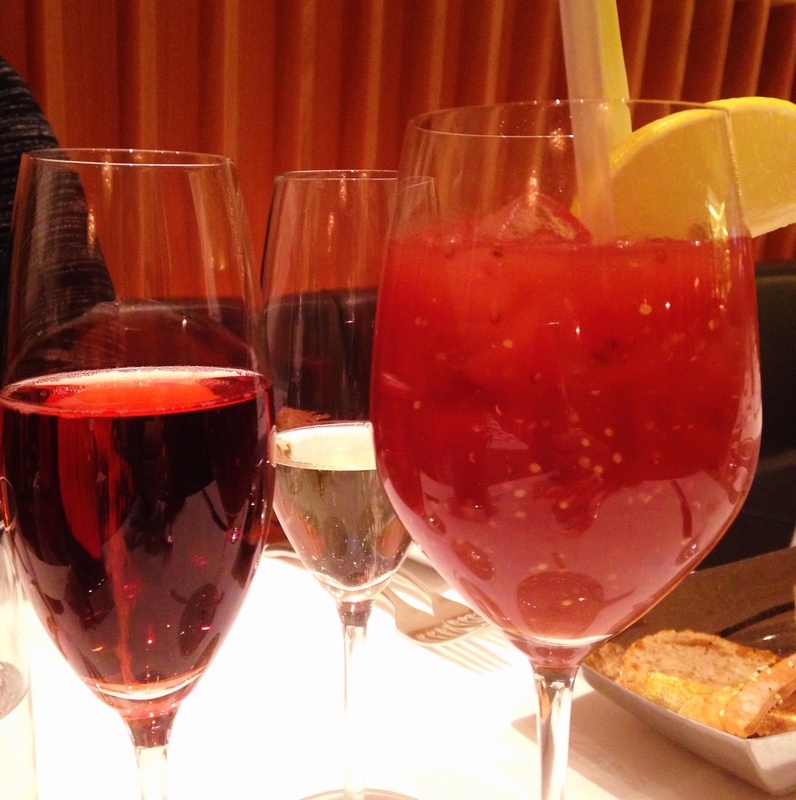 They also serve the very delicious Sant Ambroeus Prosecco. During Brunch, you can either chose their brunch special which I think is the best option. They also serve their regular items, but I like to have me some eggs for brunch, so I usually go for the brunch items. The special includes a brunch cocktail (see above), a brunch item and my favorite part of a meal, dessert. 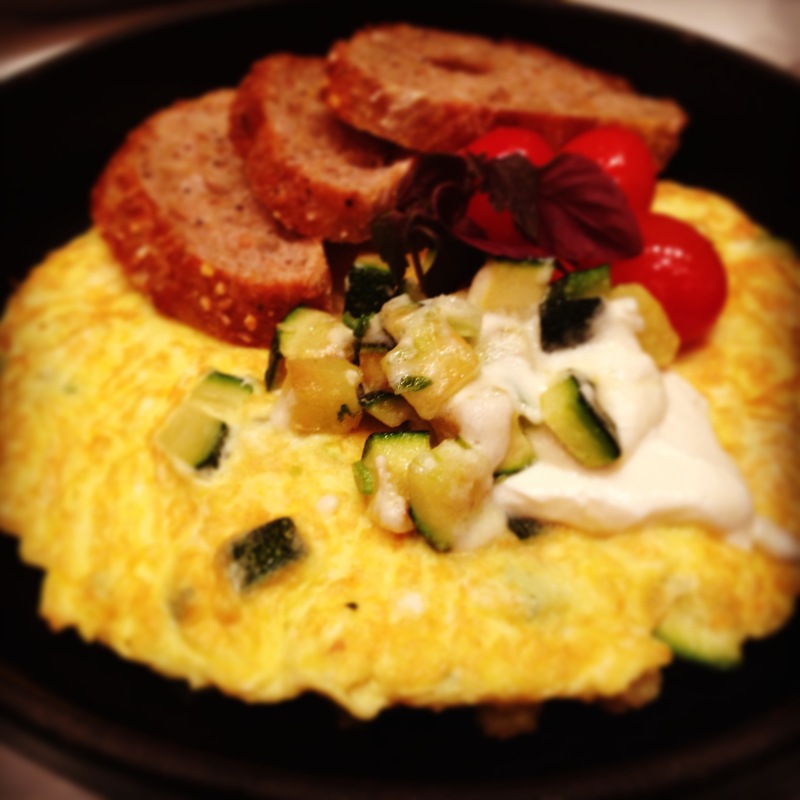 We tried several items so far, a very delicious goat cheese frittata with zucchini and served in a cast iron dish. I like that presentation a lot as it keeps your food warm and it looks great. My mom had Pomodoro Farcito, tomatoes filled with bacon and egg on a bed of creamed spinach. The tomatoes are being grilled and the eggs were a little too raw for my taste, but she loves them that way so they were perfect. 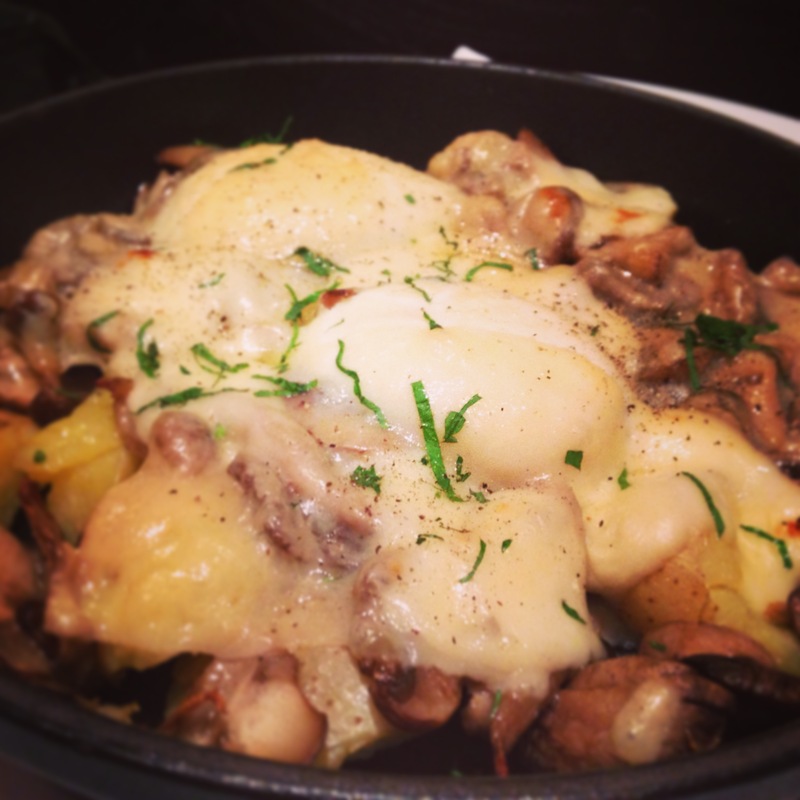 Very recommended is the Tegamino Valdostano, poached eggs, cheese, mushrooms and fingerling potatoes. A hearty and very yummy dish. It’s very filling, but just perfect to start the day with a hearty something. Another brunch item is an omelet panino as well as eggs benedict. We still have to try those. The pancake or the french toast haven’t been one of our choices so far either, just because of the dessert – which is at least for me one of the best ones I ever had. They make a Gianduia at Casa Lever that is to die for. 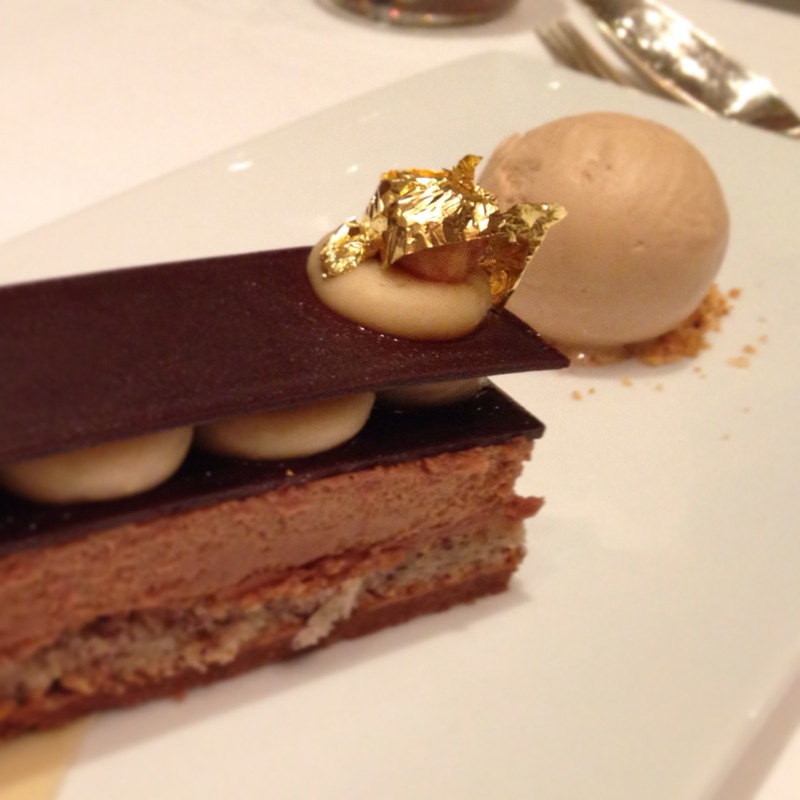 It’s a hazelnut cream, hazelnut cake, crunch, gianduia mousse, a layer of chocolate all put together to this perfect piece of sweetness – it is just heavenly. I usually look forward to it during the whole brunch. The service is great, I like the interior a lot, very 1970-stylish, great prints on the walls and they also have some booths on one side of the restaurant that are perfect if you come with a small group. The restaurant is very open, the bar area, even though separated through the host desk, flows perfectly together with the whole room which is very airy due to its high ceilings. There is usually a Cuban band playing during brunch and it’s not so crowded and a very relaxed atmosphere.